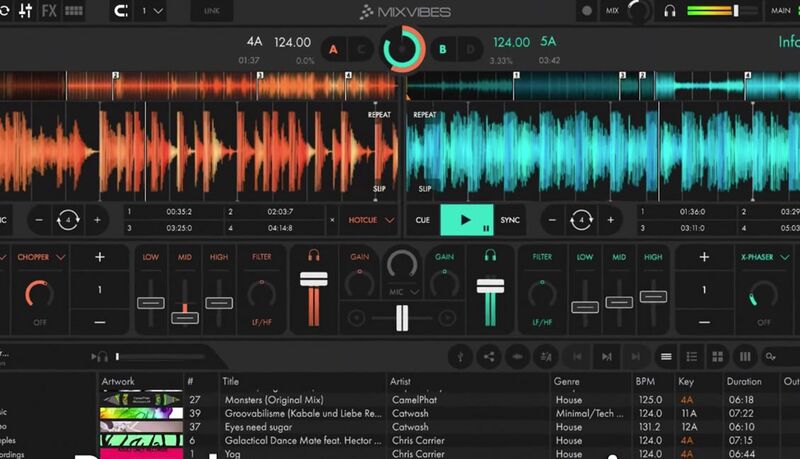 You might have thought that Mixvibes, the company behind Cross DJ and the Remixlive/Remixvideo apps, had fallen off the DJ software game – but today’s news shows that they’re very much still in it. Today they’re announcing a brand new iteration of their DJ software, Cross DJ 4. It’s available for preorder today, and has a few new features. Watch the video below and then keep reading for a feature overview. Cross DJ 3 came out back in 2014 – and went on to become one of the first DJ apps to be released on Android. There’s a number of new features worth talking about that are shown off in the video above. Here’s what Mixvibes is championing with this release – note that the details are limited to Mixvibes’ press release – with our notes in parenthesis. What About Video / Other Old Features? Interestingly, there’s no mention of mixing video (which was one of the big features championed in the last version of Cross DJ. Without additional confirmation, it’s hard to say what old features will and won’t be in this generation – but it seems highly unlikely they would remove a core functionality. For DJs who want to use HID and DVS control, this isn’t the release for you – you’ll need Cross DJ Pro 4 – “which will be available soon” according to the Mixvibes forums. One thing we’re not too sure about is the idea of preordering software before you can actually use it. For a lot of DJs, it’s critical to try a piece of software before you ever fork over money – which is why many softwares offer lite versions and demo periods. If you preorder the software ($34.99 until April 7th), you’ll get beta access, but that’s still a bit strange. “We most likely will offer a demo version of Cross DJ Pro 4 in the same way that we offer a demo of Cross 3 currently (which does have a time limitation), and we will also update Cross DJ Free as a version of Cross DJ 4 with limited features. Comments on Mixvibes’ Facebook page also confirm that there will be discounts for current Cross DJ/Cross users, but specifics aren’t yet available.